More than half the province consists of reclaimed land, up to 6 meters below sea level in parts! The oldest polder (1612) is a UNESCO World Heritage Site. Polders are known as cultural landscapes: designed and created intentionally by man. On this route we will guide you through the history of this part of the Netherlands from roughly 1000 A.D. through the prosperous 17th century to the modern day in which the government is taking action to protect the country against rising sea levels. This tour takes you to all the prettiest places of interest. 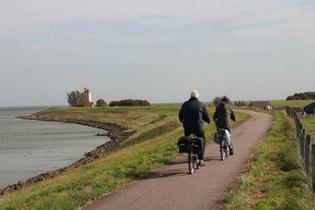 On the way, you will ride your bike along dikes, past meadows and farmhouses, through dunes and to the world famous bulb flower fields. You can stop for a break at villages, historical towns, picturesque streets, squares and harbours. Opt to visit a famous art museum or delve into our past at a history museum. Your bike holiday would not be complete without a visit to Amsterdam. As on all our carefree cycle tours, we provide luggage transfer and excellent accommodation. 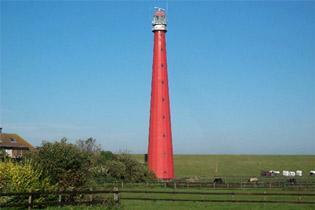 You can also book this route without the Texel tour.